Who else is loving the Cafe Collection as much as I am?! 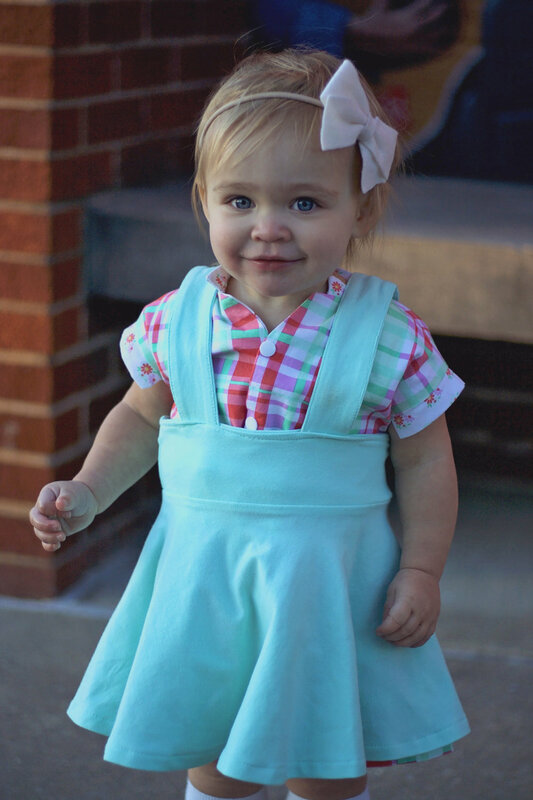 I am obsessed with all of the patterns, but suspender skirts have a special place in my heart. I love how they are perfect for all seasons and can be layered in so many ways. Also, they look amazing with knee socks, which highlight my daughter’s chunky toddler legs which makes me SO happy! Today I am going to show you the easiest modification that will take you 5 minutes or less and give you a super sweet look on your Vancouver skirt! We are going to make that horizontal back strap into a bow! 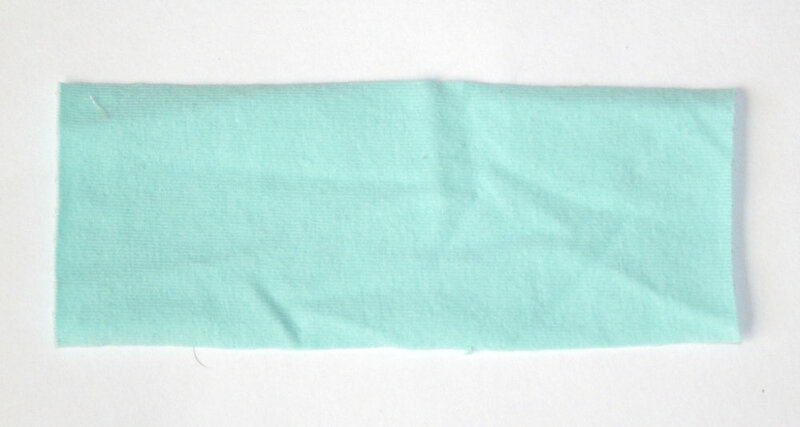 Cut a strip of knit fabric 2” wide x 5” long. Fold it in half so long sides are touching, wrong sides together. Sew with a ¼” seam allowance. 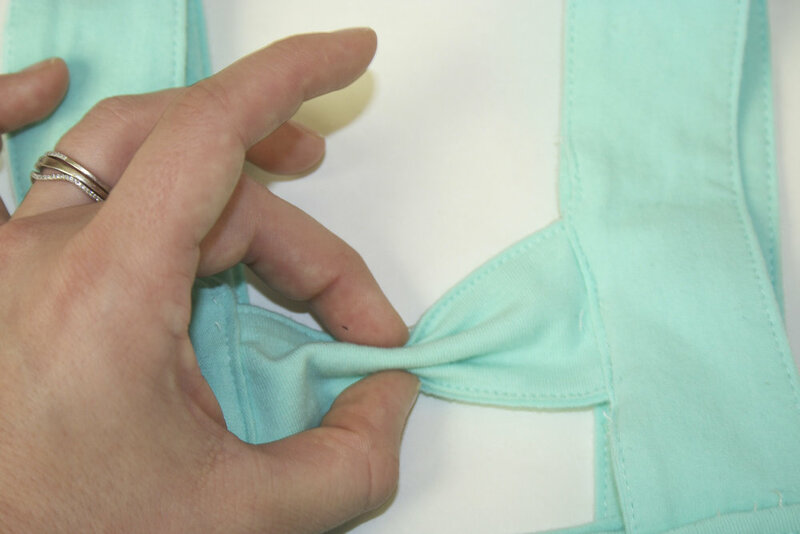 Push your seam to the back center and iron the seam allowance open. Scrunch your back center strap in the middle so it looks like a bow. Wrap your strip around the bow tightly. Sew the strip to itself. Be careful not to catch the bow in your stitches. Trim the excess strip and turn the seam allowance to the back. See? Wasn’t that just the easiests modification? 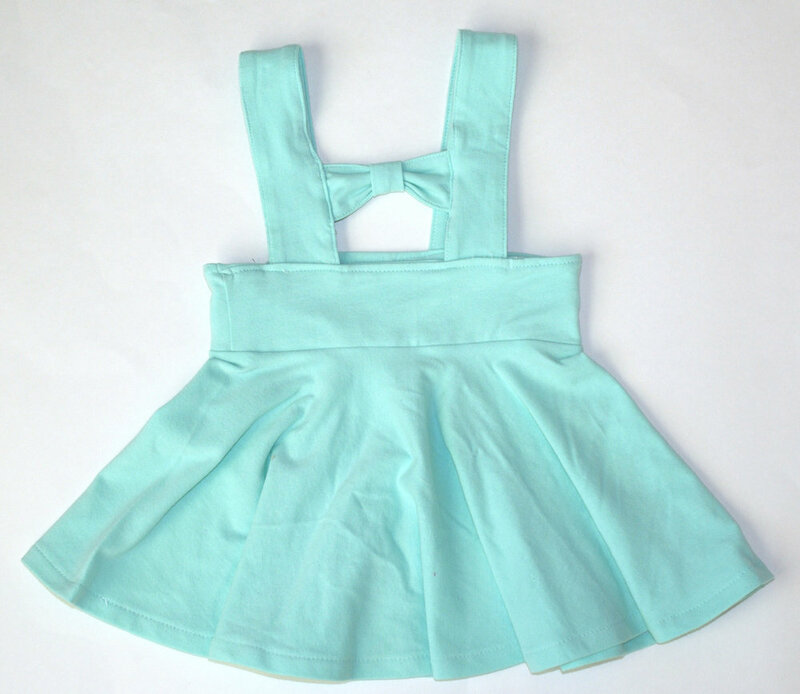 I can’t wait to see all of your Vancouver skirts...and don’t forget to add a bow back to change up the look a little!